Claire has been a personal risk adviser for over 17 years. She holds a Bachelor of Commerce degree and a Diploma of Financial Planning. 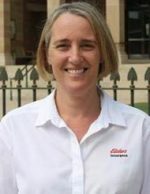 Claire started her career in the Northern Rivers area of NSW and built a highly successful business with the support of her husband, Michael. She continues to strive to provide a personalised touch and quality advice to all of her clients.